The name might sound funny, but Huemor Designs is serious about helping you succeed. The experts at Huemor Designs will work with you from start to finish with all of your projects. Huemor Designs works closely with you and your company to get to know what problems need solving and to set up business goals. Once Huemor Designs has a fix on how to best assist you, collaborative involvement begins. The professionals will then incorporate the existing brand along with receiving feedback on new details and seeking approval for the layout arrangement. During development of your website, you will have ample opportunities to test drive a working version. 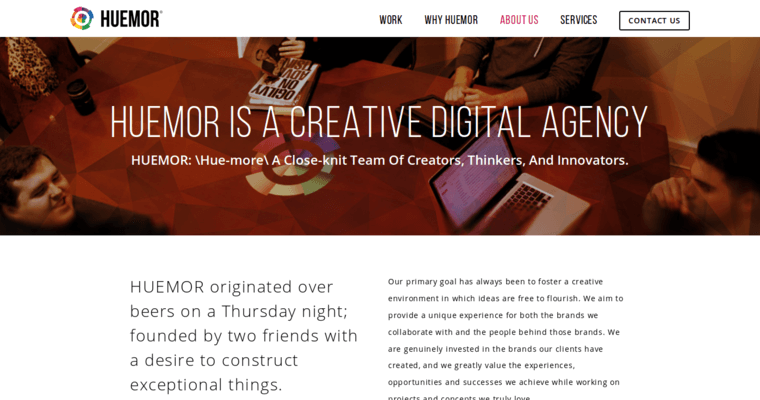 When your internet site goes live, Huemor Designs is there to keep audience engagement. No joking, Huemor Designs is with you all the way.